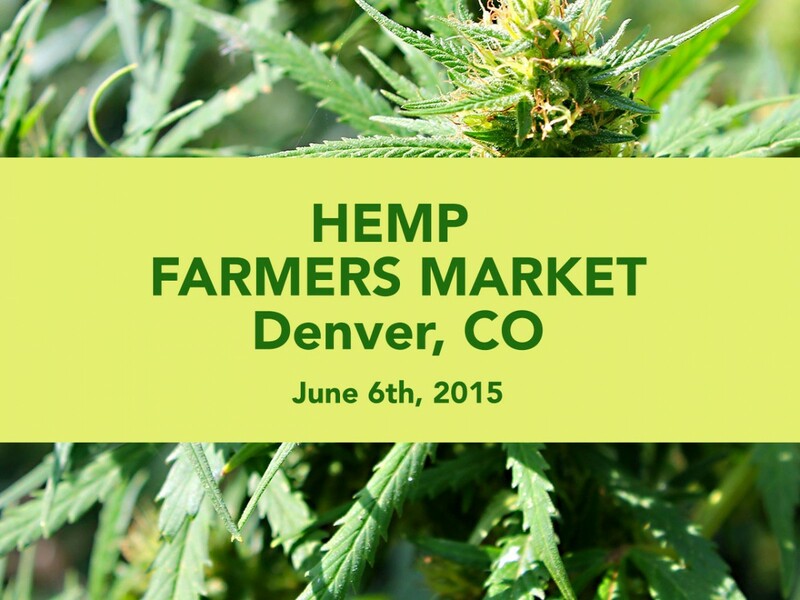 On Saturday, June 6, as Hemp History Week was winding down, people in Denver, Colorado were able to attend the city’s first annual Hemp Farmer’s Market. Dozens of vendors, food trucks and musicians set up shop at The Greenhouse to celebrate hemp’s historical roots in the U.S. and share hemp based foods, crafts and products with the community. Our team joined in the fun. This event was one of many held across the U.S. last week to raise more awareness about hemp and showcase the ever-growing diversity of hemp goods. Along with creating a space where communities can learn the history of hemp and enjoy wonderful hemp-based eco-friendly products and healthy foods, the primary goal of these events is to increase support for the Industrial Hemp Farming Act which will allow farmers to freely grow hemp in the U.S. again. 300 years ago, farmers in the first settlements in the U.S. were actually required by law to grow hemp because it was such a valuable crop. The Declaration of Independence was even drafted on hemp paper. Labeled as a Schedule 1 Substance, growing hemp is banned in most states. The purpose of the Industrial Hemp Farming Act is to remove this classification and eliminate the national restriction on hemp farming. As more people advocate for hemp, we believe more senators will be motivated to vote for the Industrial Hemp Farming Act. Since we are passionate about promoting this incredible resource, it was a pleasure for us to participate in Denver’s first Hemp Farmer’s Market. We also love community events like this because they allow us to get to know many of you. If you are going to be in the Denver area June 20th or 21st, please stop by our booth at VegFest to say hello!